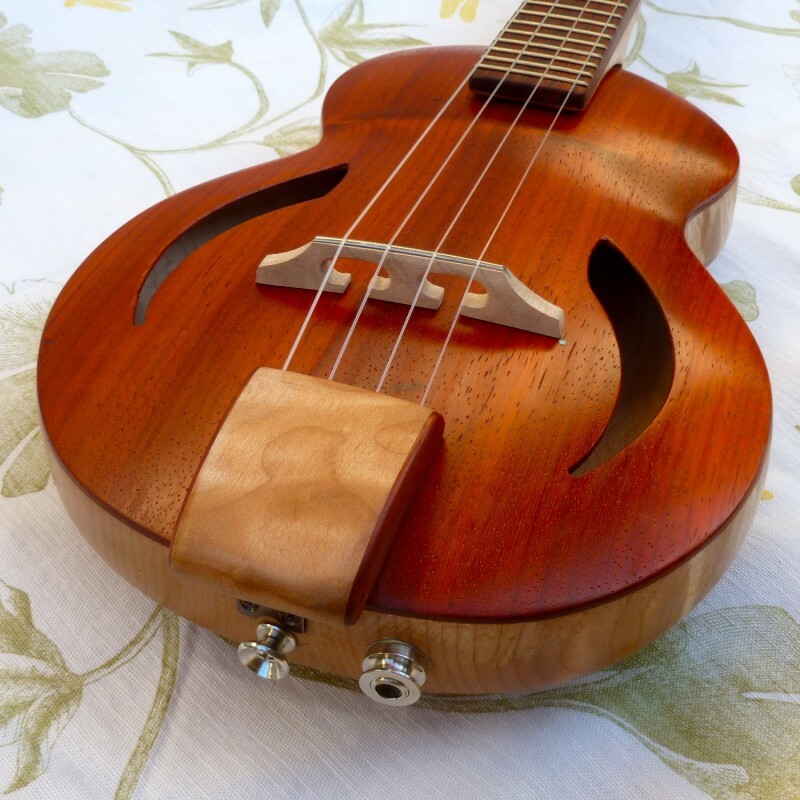 Our ukulele designs are rooted in tradition but not constrained by it. We’ll basically try anything if we think it will improve the sound or playability of our ukuleles. Seriously, why not? The instrument can’t evolve and get better if you never step outside the accepted standard. We’re also trying to build instruments in an environmentally responsible way by reducing our use of exotic woods wherever possible and by exploring “greener” finishes. This last item, as it turns out is pretty difficult to do but we are trying our best. 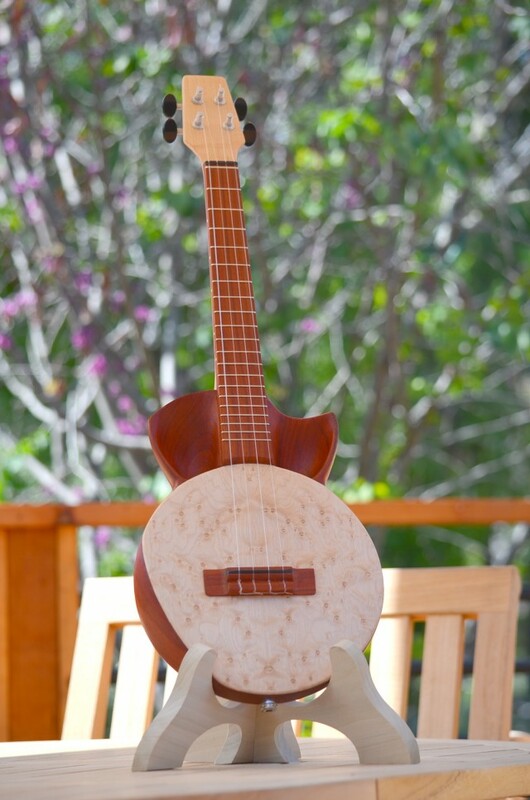 Our goal is to make ukuleles that appeal to people in a personal way. Frankly we want people to hug their ukulele like it was their faithful dog. We want our ukuleles to spread happiness and generally make people smile more than they do already. We’d love to hear your ideas about what makes a great ukulele. It’s a journey and we invite you to come along. 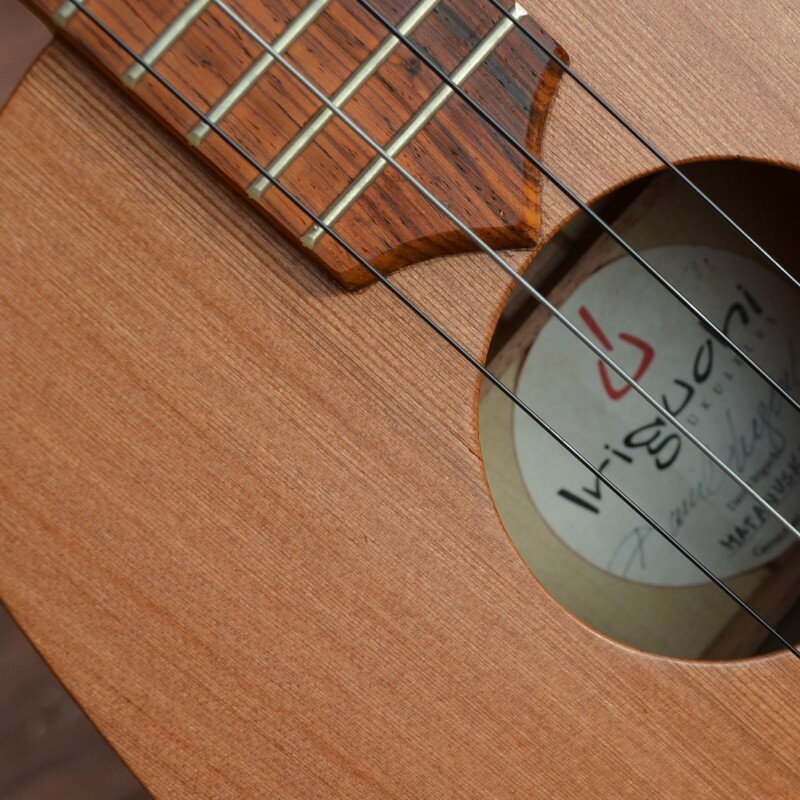 Beauty in ukuleles, as in all things, is in the eye of the beholder…so it’s not our main focus. We certainly want to make beautiful ukuleles but we come at it from a “beauty is more than skin deep” perspective. What we mean is that there is more to a ukulele than beautiful wood. Perhaps you need a wider neck to fit your hands? We can do that. Or you might want a longer scale on your concert uke so you can pick like Jake but a tenor is just too big? We can do that too. How about a full-bodied, left-handed tenor, tuned Low-G? We’ve done that. It’s Iriguchi no. 003 and it was my nephew’s graduation present. A ukulele should be something you play and treasure your whole life and then you give it to your kids and they do the same. That’s what makes it truly beautiful. We are trying to avoid using too many exotic and rare woods. Instead we are looking for alternative woods that give great tone but that are from more sustainable sources. Now don’t get me wrong, I love the look of those exotic woods that I see on many instruments but I just have this feeling that if I can get good tone out of something a little more common, then perhaps I could sit in the shade of that exotic tree and strum my simple uke. Have your cake and eat it too, as it were. For backs and sides our wood of choice for now is simple Poplar. 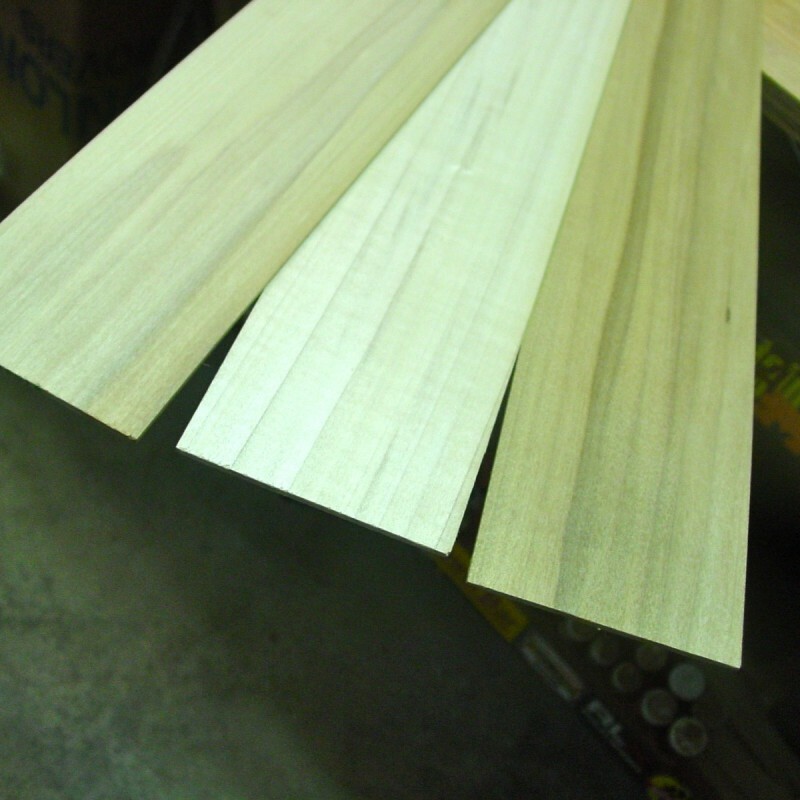 Often used in solid body electrics, we’ve found that poplar makes a great sounding body. They may not look as timeless as highly-figured Koa but our bodies just sing and we sure like ’em. Colors in Poplar range from bright gold, to a weird green like the inside of an eggplant to deep streaks of purple or grey. It’s nice stuff and we love working with it. For soundboards we’ve been using a variety of woods including Cedar, Spruce, Maple, Kauri, Mahogany and Redwood. As you can see, many of the woods we use are fairly common (Mahogany being the most obvious exception). The first requirement of course is great tone, and many common woods make terrific-sounding ukuleles. We often gets requests for more exotic woods but they don’t necessarily produce better sound and they add significant cost both to the wallet and the Earth. With the growing spectre of Climate Change, we’re trying to be respectful of the planet. We don’t use any CNC machining or laser guided cutting technology to build our ukuleles because, well… those machines are really expensive! And besides that, we like a more organic approach to lutherie. 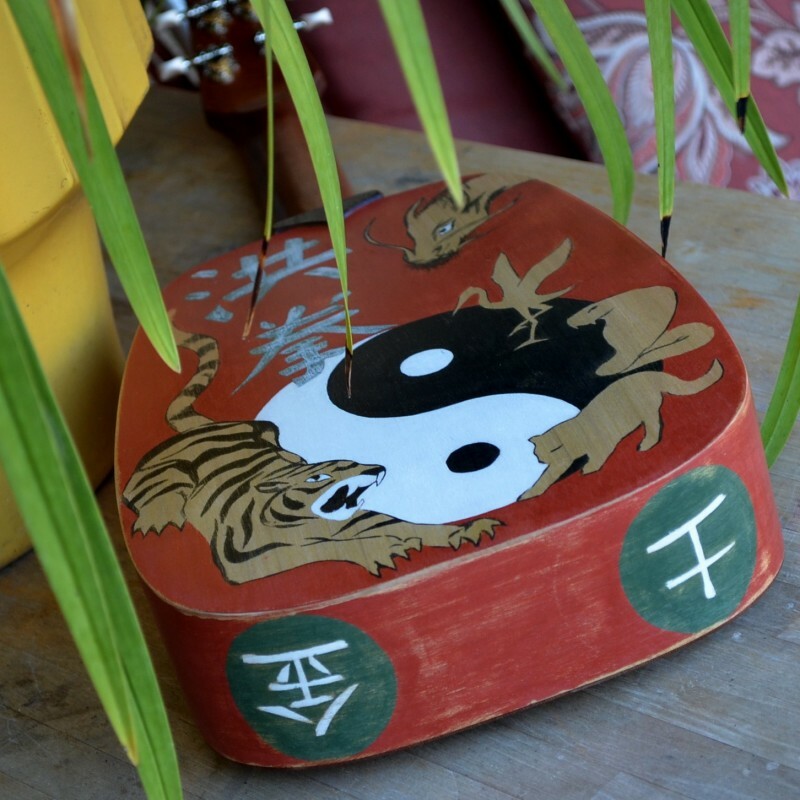 Our ukes are truly functional art, sculpted by hand, one at a time. And they will be done that way, forever… or at least until we can afford a CNC or laser machine and a room big enough to hold one. I wonder how big they are? Every ukulele we build is another step on our journey to find meaning and happiness. And just because that sounds super cheesy, doesn’t mean it’s not true. It’s a very organic and fluid experience building ukes. 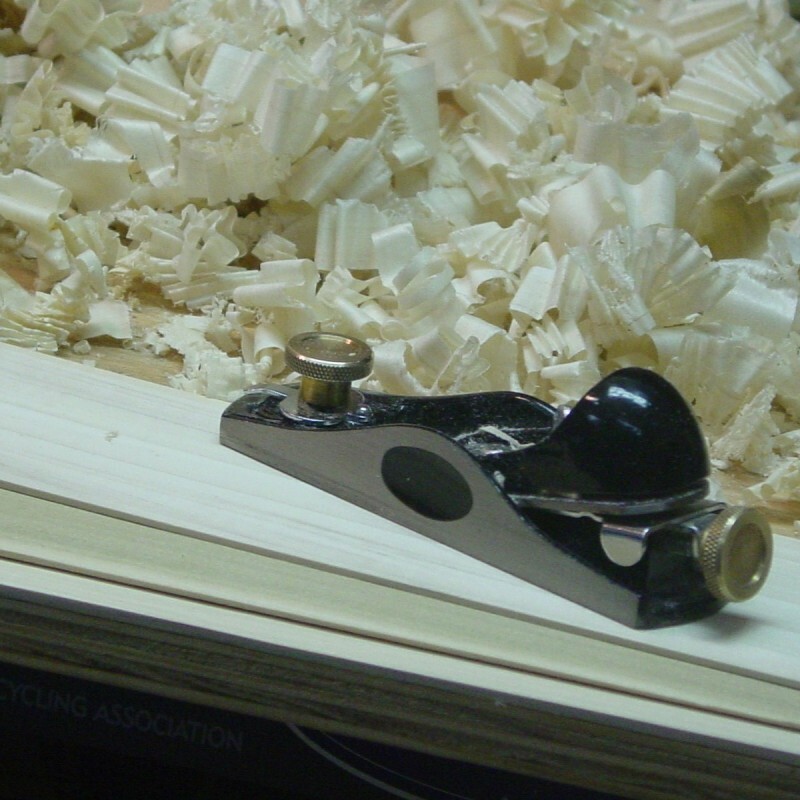 For instance as we thickness the sides, we become intimately aware of the grain structure, changes in density from place to place, the very nature of each board. We mark these and make note of them as we go and keep them in mind during the build. We are constantly experimenting with bracing patterns and forms, neck attachment techniques, neck shapes…while we have great respect for tradition, we use it more as a guide instead of as an imperative. It’s sort of like Bruce Lee’s take on martial arts styles. He didn’t care which style a particular fighting technique came from, as long as it worked. We are the same way…only with ukuleles, not kicks and punches. If an unusual modification to your uke makes your playing more comfortable, then, “Damn the traditions, full speed ahead!” My own personal uke (no. 002) has a very asymmetrical neck simply because it fits my hand better.